With a height of just 1.2mm and depth of 3.55mm, this 0.5mm pitch FPC connector is extremely low profile, which makes it an ideal connector for use in small and restricted environments. 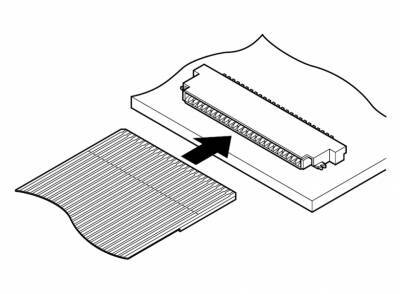 Featuring double-sided internal contact points, to facilitate top and bottom PCB placement, and using heat resistant materials. 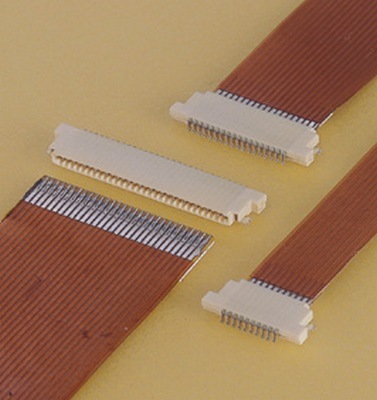 This connector is not only very universal, but is more than suitable for use in high re-flow temperature environments associated with lead free soldering. The contact is double-sided, thus providing reliable connection with FPC. 0.3±0.05mm (.012"±.002") thick standard FPC can be used.